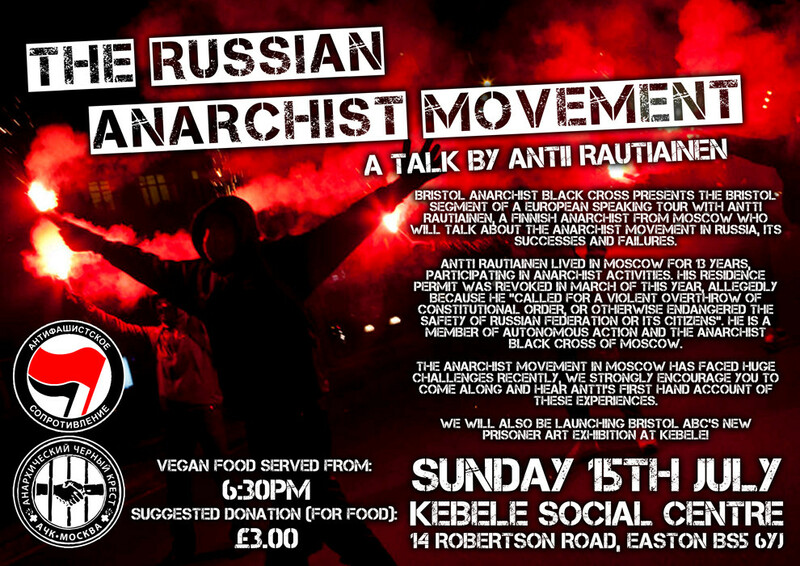 In response to the call for solidarity with Russian antifascist prisoners, Bristol ABC are holding a letter writing night, 5-7pm on the 1st of July at Hydra Bookshop, 34 Old Market. 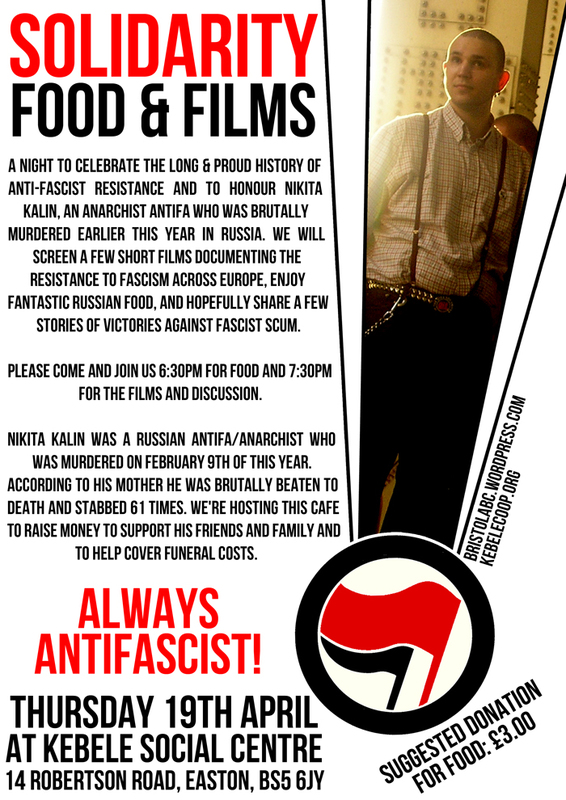 Come and learn about the situations of our imprisoned comrades in Russia, and write to them to show they’re not alone. Skill in Russian language appreciated but not essential, see you there! 31 may 2016: Taganrog City Court Judge Georgy Serebryanikov sentenced 31-year-old local resident Elizaveta Tsvetkova to a year of corrective labor for disseminating leaflets criticizing the police, reports Caucasian Knot. As published on the court’s website, the verdict stipulates that fifteen percent of Tsvetkova’s wages will be docked by the state for a year. The activist has also been charged 6,000 rubles in court costs. According to investigators, Tsvetkova downloaded a leaflet criticizing the police from the Vkontakte social network, printed it out, and the day before Law Enforcement Officers Day, in November 2014, posted it at public transport stops and on street lamps.